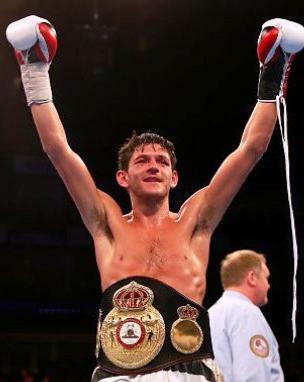 WBA bantamweight titleholder McDonnell retained his belt with a comprehensive drubbing of Mexico’s Fernando Vargas tonight in London. The fight, one-sided throughout, was eventually stopped at 2:39 of round 9. Vargas, from Tijuana, gave it a go early, stalking McDonnell behind wild left hooks and overhand rights, but it was the more refined work of McDonnell, 28-2-1 (13 KOs), which created all of the eye-catching moments. His jab, sharp and snappy, permanently found its home, and his impressive lateral movement, a staple of his game, created many openings for his counter right hand. The finish was as inevitable as it was swift. Vargas, 29-10-3 (20 KOs), a late replacement opponent, had by now run out of gas and given up his assault, and McDonnell, the sudden aggressor, backed the Mexican into a neutral corner and stunned him with two solid right hands, leading to the first and only knockdown of the fight. With that, it was effectively over. Vargas’ corner entered the ring and referee Terry O’Connell put an end to the mismatch.